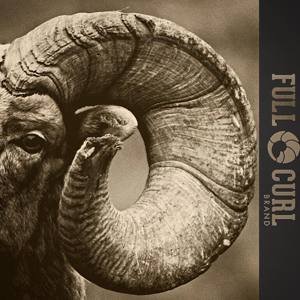 The crew continues on and Corey Jacobsen encounters a bull just after dawn. Mike Mancl and the crew look for some action during a mid-season struggle in Wisconsin. 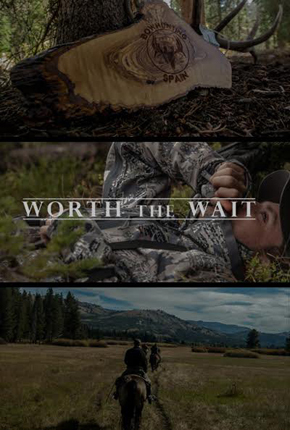 Bone Maniacs, His & Hers Outdoors and Southern Draw deliver a new short film that spans through a sequence of the hunting experience. Preview the eighth episode of From The Wild Season 4. Michael Donarski takes his first turkey of the 2019 spring season. Ryan Unger ventures on his annual turkey chase with his friend Scott. In this inspiring film, join 11-year-old Mason Fuglseth on his early morning deer hunt in the icy woods of Minnesota. Follow along with the summary of three exciting years of fly fishing in “Skwalhalla”. The Otown crew travels back to Kentucky. This time with their muzzleloaders, in pursuit of whitetail deer. Preview the seventh episode of From The Wild Season 4. Follow John Royer in the first of a two-part series on how to make char cloth for survival in the outdoors. The Breaking Point’s “Breaking Spring” series starts here. Watch as Aaron and his father look to punch their tags in Wisconsin. John Luttrell heads out during Kentucky’s early season in search of harvesting his first whitetail buck in velvet. Mike Mancl finally ends a 4-year quest for a whitetail buck named “Lefty”. In this intro film of the new “Begin2Hunt” series, follow a new hunter named Sammi, as she attempts to harvest an elk for the very first time. Follow along with Kevin Young as he pursues wild hogs at LoshBough Hunting Lodge in Tennessee. Pedro Ampuero takes us through his journey of the Capra World Slam. Pedro completed this amazing achievement of harvesting twelve different capris from around the world. In episode 13 of The Community show, Mark Grupe and Weston Clark continue their Colorado archery elk hunt and things heat up quickly. Preview and watch the sixth episode of From The Wild Season 4. For Born and Raised Outdoors and friends, their 5 state, 50-day adventure continues here. In segment 10, the bugle fest continues in Wyoming. In this archery elk hunt, join Steve Tittsworth as he faces a variety of challenges while searching for a bull to harvest. Matt Starley and Riley Shannon attempt to harvest a mature antelope with their bows. Follow along as they search throughout the majestic Hart Mountain in Oregon. Join Montana Wild on the third day of their tahr hunt on the South Island of New Zealand. Shawn Reimers and Shayne Vander Wal travel to hunt in Montana. This would be Shawn’s first time to pursue mule deer out west and the continuation of a deer camp tradition. Cameron Hooper and his dad, Steve, head into Idaho’s Seven Devils Mountain Range in search of a mountain goat. Follow Aaron Johnson and his long-time friend Brad set out with their rifles for a double mule deer hunt in Northern Wyoming. 11 days. 51 miles on foot. 29,643 vertical feet. That’s what it takes for Jason Hairston, Donald Trump Jr., and Brendan Burns to achieve their goals of harvesting Stone sheep with Gundahoo River Outfitters in British Columbia. Climbing through visually stunning yet punishingly difficult terrain, Marathon of Dreams celebrates the challenges of hunting the mountain ranges of North America. Michael Fleharty finds himself driving north on Interstate 35 to the big buck state of Kansas in search of harvesting a trophy whitetail. Heading back to the cabin with both tags punched was truly a bonus. The time and memories made at deer camp, however, outweighs any trophy. 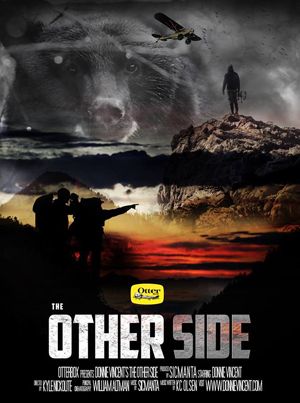 In the 6th segment of The Community show, join Mark Grupe and Larry Jones as the hunt with a recurve for wild hogs in the California foothills. The current state of hunting and conservation intrigues me and worries me. We’re at a crossroads right now, but the decisions we make now will determine the future of our hunting heritage and the wildlife we love and cherish. This film is my letter to the hunting community. Follow Chad Maves as he searches for a moose harvest in Ontario with his bow. Preview the third episode of From The Wild Season 4. Southern Draw cools off with a public land elk hunt in the mountains of Idaho. From The Wild continues with an all-new compelling Season 4!